When we think of a bachelor’s pad, we could immediately think of a man who resides alone in his space. It would be a small dwelling with a masculine design with everything that a man may need to live comfortably. 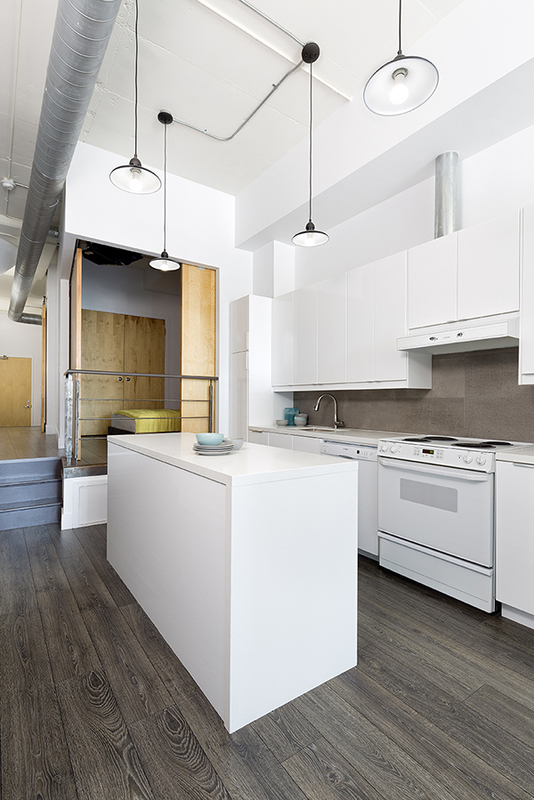 Yes, a bachelor’s pad is indeed that space you are thinking of and we are going to check on one today. 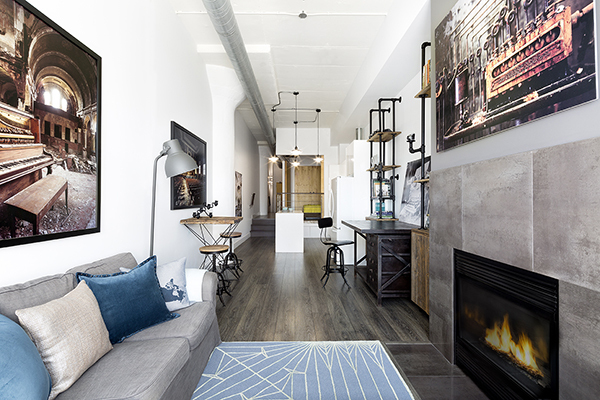 A fabulous modern loft space is completely gutted and re-designed located in Toronto, Ontario, Canada. It is designed fit the needs of the owner who is a photographer. The interior has custom shelving and displays that showcase the homeowner’s antique camera equipment and collection of photography books. It also used reclaimed wood materials that were incorporated into the design as well as metal elements that would create clean and simple lines. But you can also see some pops of color and texture the living room and bedroom. 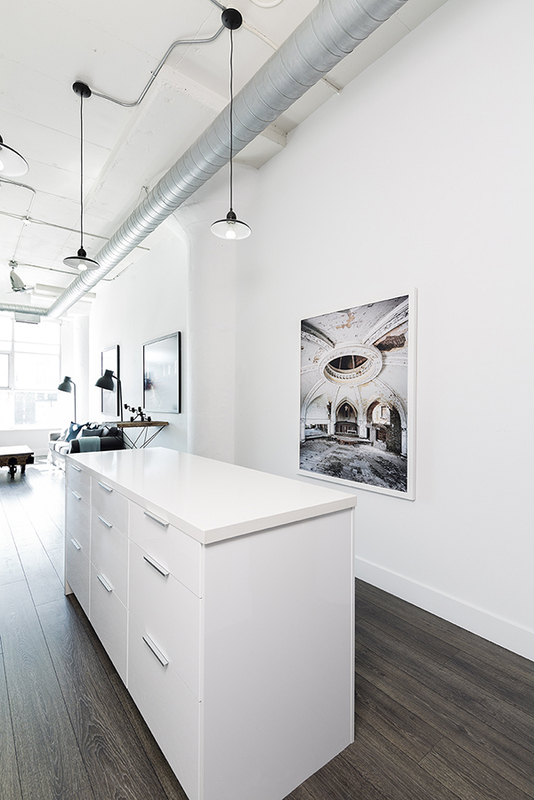 There are some artworks carefully placed on the wall that adds some character and personality to the interior. 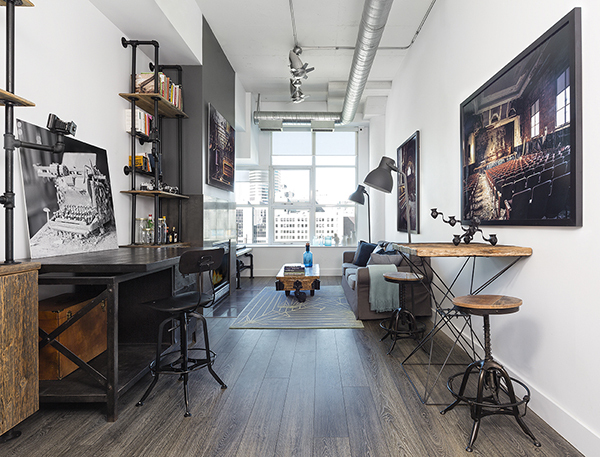 The furnishings and built-ins of this bachelor’s pad have an industrial feel combining wood and metal. There is indeed a masculine feel in the design of this interior. 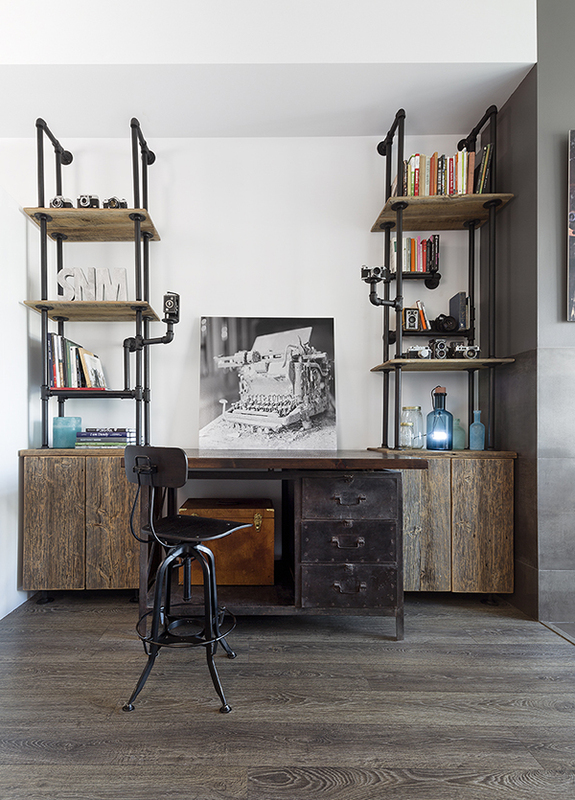 Beautiful custom designed built-ins and shelving are used for this working area that are perfect for displaying books and personal knick-knacks. 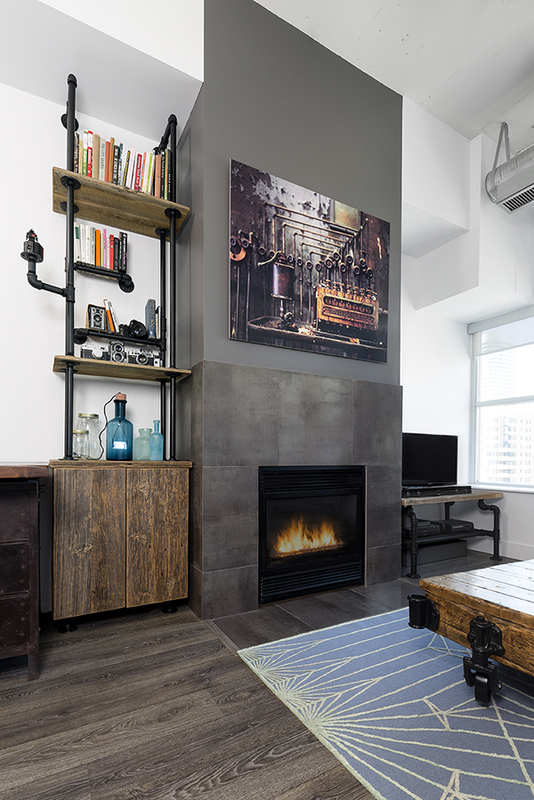 A modern fireplace is seen in the living area with dark gray finish. Pops of colors are seen in the area rug and throws. 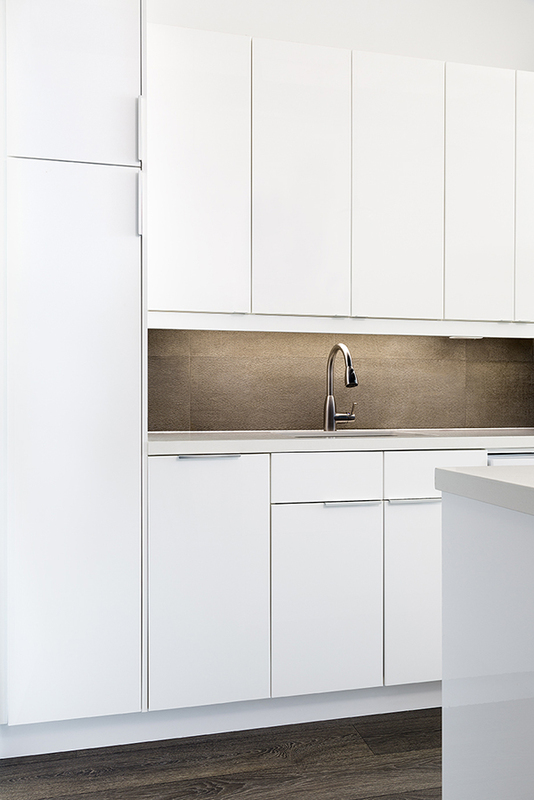 A clean white kitchen is bright and airy that offers plenty of cabinet space. It has a center island that is perfect for cooking. Everything looked very neat in this kitchen with silver fixtures. 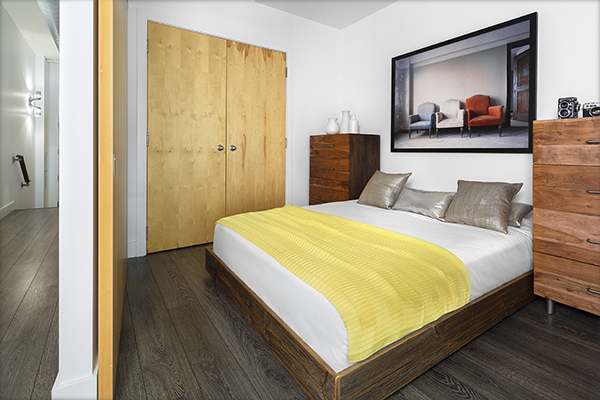 The artwork on the wall brings color to the bedroom with wooden flooring and furniture. 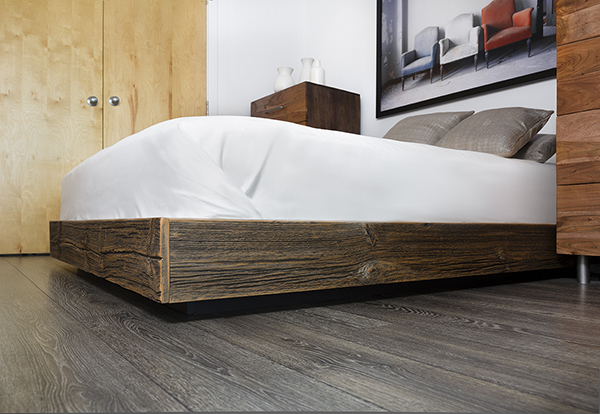 A custom bed was designed on a platform that made it appear like floating. 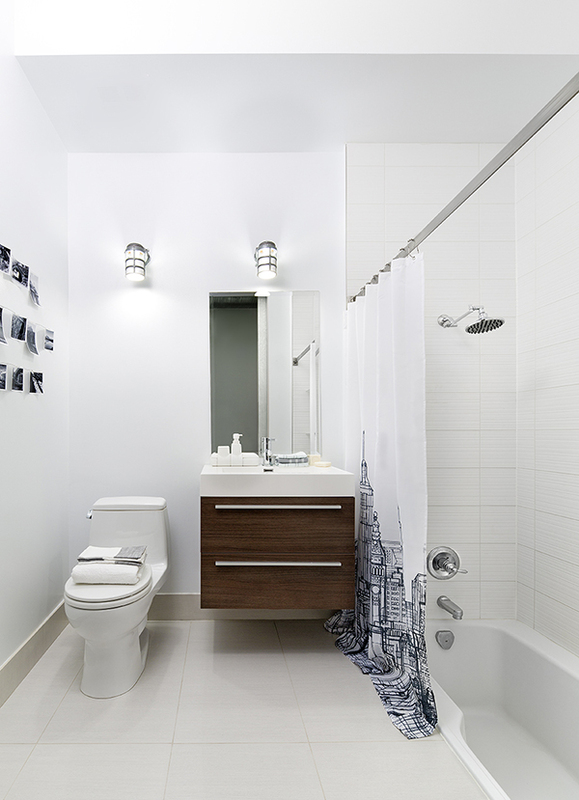 A clean lined bathroom adds to the modernity of the loft. The whole pad caters perfectly to the needs of a bachelor. It has simple and clean lines allowing the owner to live a modern life while working. This interior is designed byRad Design who made sure that the bachelor will be able to maximize the use of his home with stunning aesthetics and impressive functions. Do you like this space? What appeals to you the most?